Product managers and project managers are two of the most important roles in every technology company and are crucial to the future of tech. Yet they are often conflated and misunderstood. 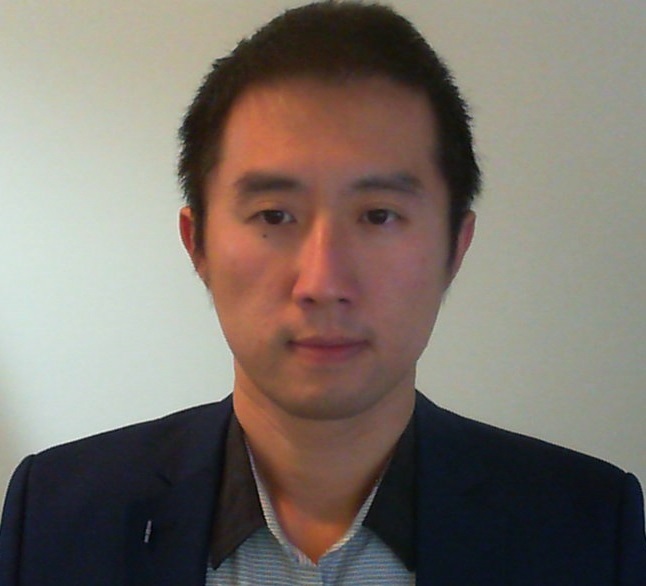 In this article (Part I in a two-part series), Johnny Chao -- Product Management Vertical Lead at Toptal, and a career product manager -- outlines the similarities and differences between each role, as well as the core skill sets that allow product and project managers to excel. We have built homes for thousands of years, cars for over a century, and software for only a few decades. Despite tremendous progress over the past forty years, we are still in the nascent stages of the software industrialization cycle. Thus, the challenges and frustrations software developers have faced shouldn’t be seen as failures, but rather as natural growing pains. As software has gained complexity and user bases have grown, companies have developed new roles to efficiently scale and manage their product development lifecycles. Going forward, this trend will continue to gain momentum as the pace of innovation and demand for new technology both increase. A product manager is responsible for the What and the Why; A project manager is responsible for the Who, When and How. Product managers (PDMs) and project managers (PJMs), two of the most important and often confused such roles, streamline creation and delivery in the software development process. These roles are often conflated and cause ambiguity in both small and large companies. To state the differences between the two simply: A product manager is responsible for the What and the Why; A project manager is responsible for the Who, When and How. This article – the first in a two-part series – will explore the fundamental differences and overlapping similarities between each role. On a basic level, product managers interface with a company’s engineering and business development teams, as well as customers, to build and ship successful products. Product managers are effectively multilingual translators who must be fluent in both technical and non-technical areas. A good PDM needs to understand technical terminology, algorithms and data structures, as well as client pains, business deals, RFPs, and more. 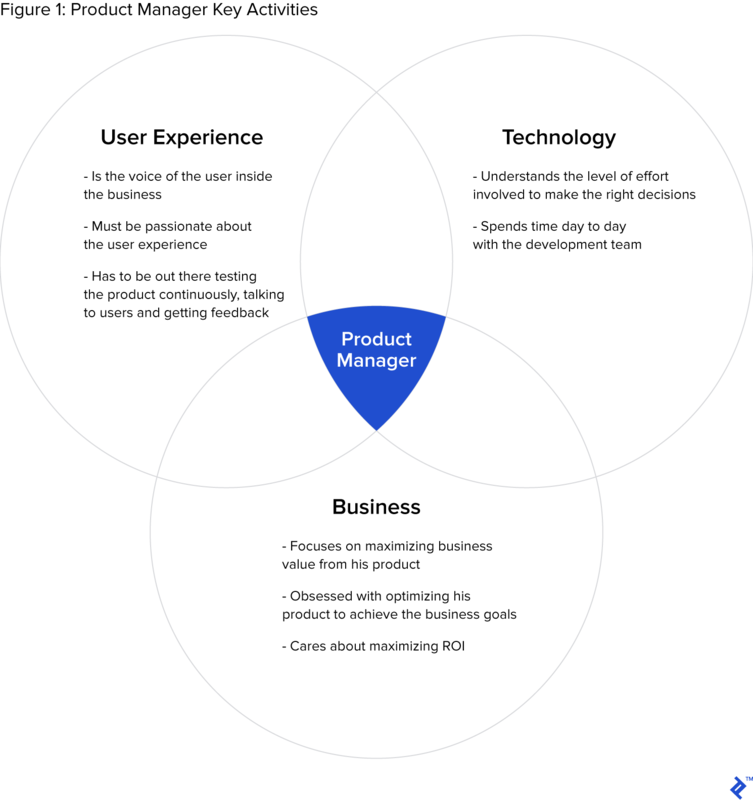 It’s up to the product manager to balance the competing agendas of functional partners and leverage their support to develop successful products. A PDM’s goal is to create value for customers and drive product adoption. 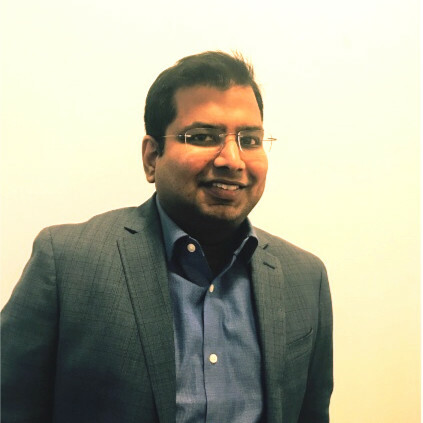 Voice of the Customer: Representing the customer is of paramount importance, as it constitutes product managers’ primary source of power and allows them to drive internal consensus. As I’ve always told my product teams, if you understand your customer’s needs and uphold their interests, you can and should be the loudest voice in the room. Purpose-driven Pragmatism: Great product managers know and can explain why the team is working on a given initiative, from overall product vision down to each feature and detail. It is the product manager’s responsibility to know the product’s purpose, and to make sure the team knows it’s purpose. This insight needs to come directly from customers and users, and not just through marketing and sales. As a product manager, the ability to put yourself in the shoes of your users is key to a product’s success. Empathy & Curiosity: The ability to think like the customer and for the customer is critical. Many bright product managers fall into the trap of building products just for themselves and their peer bubble. As a product manager, the ability to put yourself in the shoes of your users is key to a product’s success. You have to have the empathy to immerse yourself in the user’s world. But empathy alone is not enough; it needs to be coupled with curiosity about the customer and market. Problem Solving & Creativity: Products are created to solve problems. Thus, it naturally follows that product managers have to be great problem solvers. There are usually multiple ways to solve a problem, and great product managers think outside of the box. Communication Skills: A top product manager must have excellent communication skills – both written and oral. Product managers are expected to make presentations and speak in large groups to deliver a succinct message. Product managers are also responsible for developing customer relationships. They need to be great listeners who understand, validate and translate the customer’s desires to clear solutions. Business & Marketing Acumen: Being able to put together business concerns, reasonably forecast growth and adoption, and provide high level cost estimates is going to help turn a product idea into a real business. You will have support from sales, finance, and others, but the product manager should be the central piece of the puzzle. Technical Know-how: Product managers need a certain level of technical expertise. They do not need the same level of knowledge as engineers and designers, but having some knowledge goes a long way to earning credibility and trust, and can often help them get more out of their team. Just as the product manager is the “CEO” of the product and accountable for overall product success, the project manager is the “COO” of the project and accountable for delivering the project within budget and time constraints. In short, the PJM has overall accountability for the success of the project, beyond the scope of product development. PJMs have to maintain a cohesive, functional project team and manage the conflicts that inevitably arise during high pressure projects. The project manager interfaces with the client, senior executives, and individual team members. Great project managers always understand the pulse of the team and are adept at going from 10,000 feet down to the nitty-gritty of an individual issue. They are responsible for identifying, isolating and removing roadblocks – anything from infrastructure issues, to personnel conflicts or a misalignment of expectations. Execution: The PJM develops and manages project budgets, schedules and plans. Great PJMs use their strong organizational skills to optimize processes and tools to the team’s culture. They work with stakeholders and product managers to make decisions based on optimizing risk and value. Decision-making: PJMs constantly collect, evaluate, and act on the available data impacting a project both internally and externally. This data is used to make timely decisions based on needs and circumstances. Sometimes PJMs must conduct complex scenario analysis to choose between different paths. Team Management: Great PJMs motivate their teams to stay focused and on target, manage and resolve conflict, and build relationships within and outside the team. They delegate appropriately, and demonstrate clear team governance. Communication & Negotiation: Project managers work with other leads to communicate with the project team, as well as ensure that communication within the team is frictionless and productive. Through partnering with peers (like product managers), PJMs prepare and deliver critical updates to all stakeholders. Strategic Mentality: Great project managers understand the impact of a project on the business as a whole. PJMs formulate strategies and processes to integrate the business’ broader goals into the project’s scope and deliverables. Project management Paradigm: A project manager needs tools and processes that provide structure and efficiency to the team. Usually a project manager utilizes at least a couple different paradigms with tools such as Jira, Rally, MS Project, or Trello. Technical & Industry Competence: While it isn’t mandatory for the PJM to be technical, the ability to converse in technical terms is a valuable asset. It helps build trust and credibility. There is clearly some overlap in skills between product and project management. Are there hybrid talents that are great at both and want to perform both roles simultaneously? Yes, but those are the outliers, not the norm. 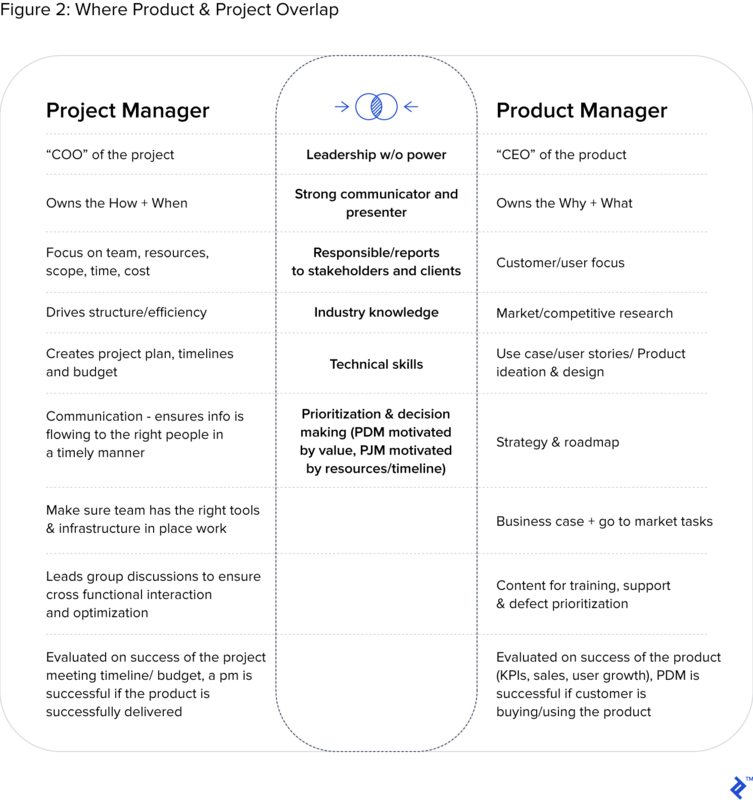 As a colleague recently pointed out, you can be a top product manager and not have good project management skills, and vice versa. That’s why I believe these two positions need to be separate roles. The future of technological development will, to a large degree, depend on both great product management and project management. Which role is responsible for the Where? Digital innovation is critical to an organization’s long-term competitiveness and success. This article explores the keys to driving digital innovation, focusing on a case study in the healthcare space.